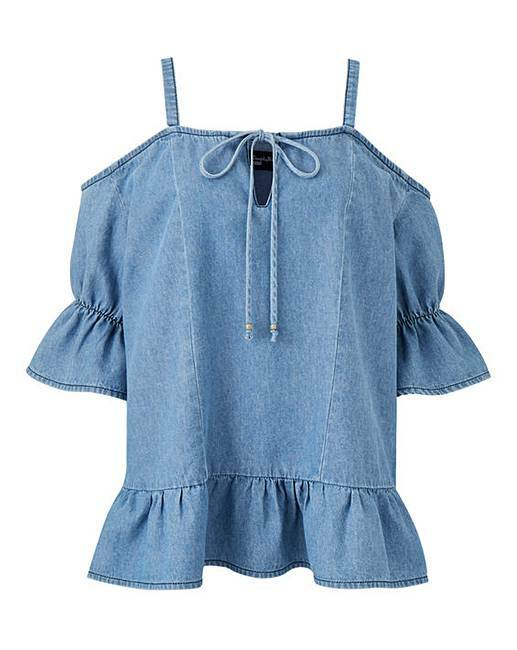 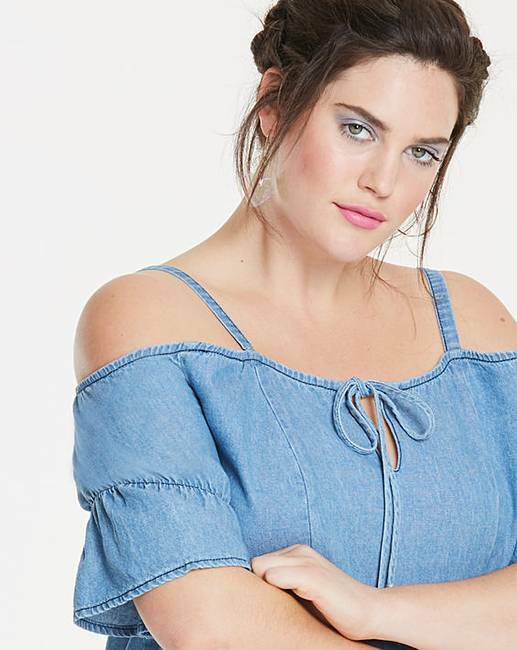 A great, easy-to-wear denim top. 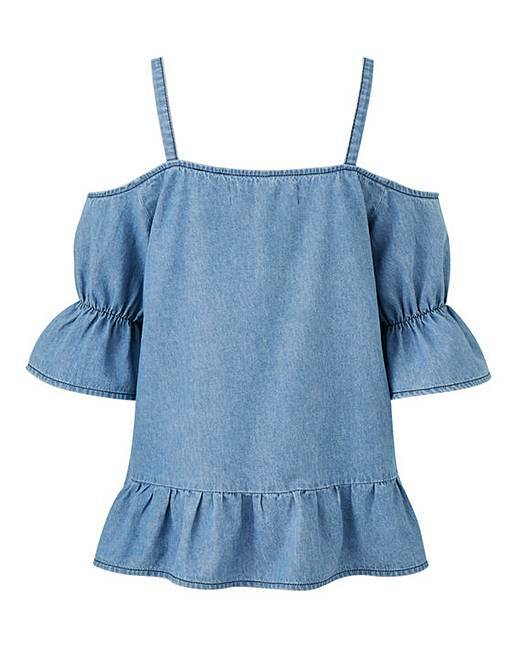 Featuring a cold- shoulder shape with peplum detailing on the sleeves and hem. 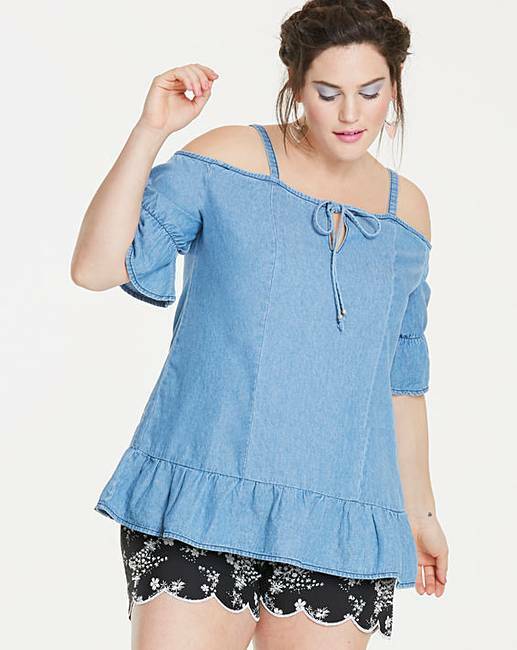 Pair this lovely top with black skinny jeans and a pair of our gorgeous sandals.